America is a leader in manufacturing firearms, and there is no gun maker in America as old as Remington, which this year celebrates its bicentennial. To recognize the company’s 200th anniversary it’s releasing four sets of limited edition rifles and a pistol. Each one is hand-crafted is truly a work of art including exhibition grade American black walnut, hand engraving with gold inlay and a bi-centennial banner. Consumers can enter to win one of the sets through the company’s website. Other sets will be auctioned off with proceeds going to charity and another set will go to a museum. Each one also comes with a display case. 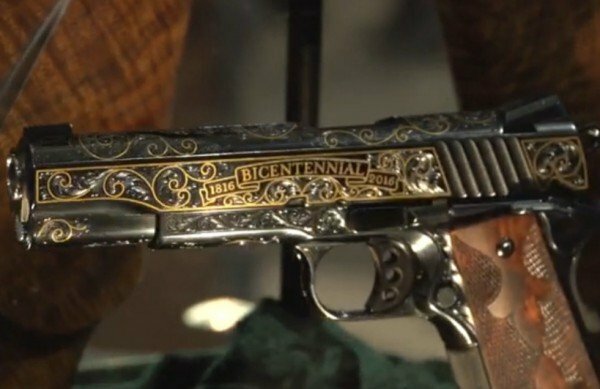 The model guns selected for this commemorative go back to the company’s historic favorites including the 700 and 870 rifles as well as the R1-1911.